Tag Archive | "Nokia Review"
Nokia 2630 has got a sleek and stylish look made by Nokia. The in built features of this handset are truly enjoyable, especially the communication and multimedia features. The Nokia 2630 weighs only 66 g with 9.9mm thickness. This makes the device easy to handle. You will really have fun with 65K TFT color display. The text and images are quite clearly visible. The mobile set has incorporated a VGA camera which generates 640×480 pixels images. You can take quick pictures with this mobile camera. The camera also allows to take close ups. With 4X zoom facility you can capture every minute details of the object in the still photo. You can even use the camera for video recordings also. Though the price of Nokia 2630 is quite moderate but it offers several useful features like web surfing, emailing, MMS messaging. You will egt a Bluetooth device with this mobile set. This wireless technology enables the user to transfer data, images, audio and video files from the handset to another computer or mobile. This simplistic handset has three preloaded games. Now you can have fun playing the games in your spare time. Nokia 2630 allows you to download various games to the device. Apart from playing games you can also enjoy listening to music in FM radio. You can use the short cut key to tune it instantly. The sound quality it provides is very good. When it is fully charged you will get 6 hours talk time. Due to the long battery life you can carry them while travelling and stay connected for hours. 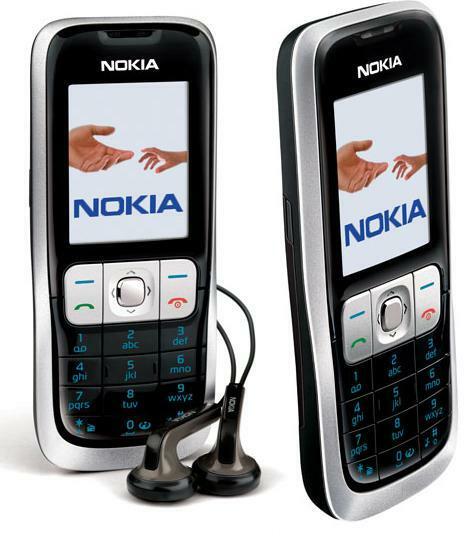 The Nokia 2630 has 11 MB internal memory which enables to store up to 1000 contact numbers. You can also check your previous call details in call records. It can save up to 20 records of dialed, received or missed calls details. The mobile set has polyphonic, MP3 ringtones. You can download any of the popular music and set it as your favorite ringtone. This is no doubt a high quality product with various useful features. When you have planned for any important meeting or event you can save it as reminder. This feature works as your personal assistant. The alarm clock also functions perfectly, especially if you want to rise at early morning set your timer accordingly. The calendar and calculator applications are quite useful for the customers as they can carry all these tools in a same device.